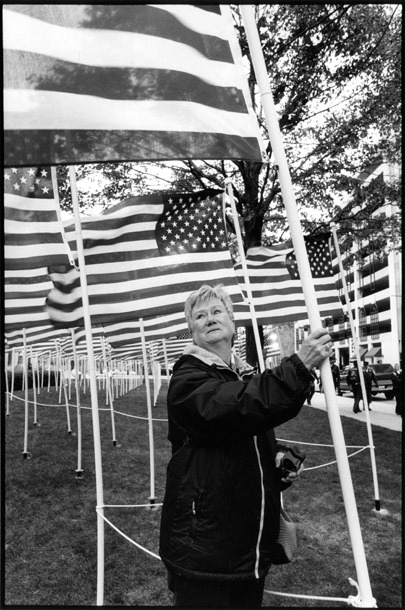 Beckie Dixon, whose son Christopher was the youngest Marine killed in Iraq in August 2005. He had just turned 18 a few months earlier. Photographed on Veteran’s Day, with his memorial flag.